Rock legends KISS are to keep mobile gaming fans partying every day with the band's frontman Gene Simmons revealing he is in talks with developer Rovio to introduce a KISS themed edition of the Angry Birds mega app. Speaking in a recent interview Simmons, one fourth of face-paint loving rock band KISS, outed the group's plans to enter the smartphone gaming fray in a joint venture with the world's most successful app Angry Birds. "We're talking with Angry Birds, KISS and Angry Birds, which will become a deal," Simmons said before confirming the band was also in talks with Sony over a collaborative gaming title. 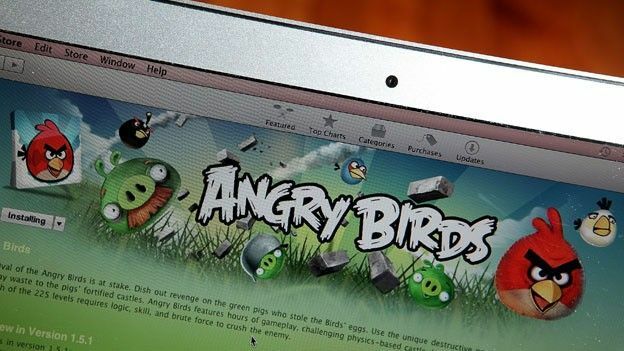 Angry Birds became a global sensation following its release on the iPhone App Store more than two years ago. Since then the app sensation has landed on every major platform, including Android and Windows Phone, as well as spawning a number of franchise spinoffs in the form of the every changing Angry Birds Seasons and movie tie-in Angry Birds Rio. Predicting the pairing with KISS will breathe new life into the half a billion download topping Angry Birds franchise Simmons said: We are really trying to take it in areas that haven't been done before and have stayed out of the marketplace because the ideas simply weren't exciting enough. So while the gaming world is waiting for the KISS games that are going to explode, we're busy taking the brand to places where no band has gone before." Would KISS Angry Birds have you rocking and rolling all night or would you rather see another band join forces for a Rovio collaboration? Let us know via the comments box below.